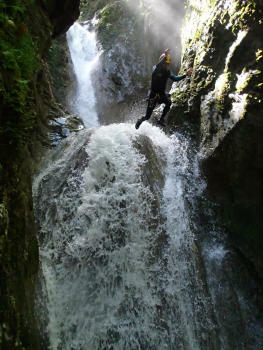 half day discovery Canyoneering in the Versoud canyon, in the Vercors. Who could imagine, when driving on this road towards Valence, that behind the village of Riviere run the steep waterfalls of the Versoud canyon ? Located a stone's throw away from the parking lot, a superb gorge in which waterfalls and basins are to be found, allow jumps, rappels, and slides for everyone. 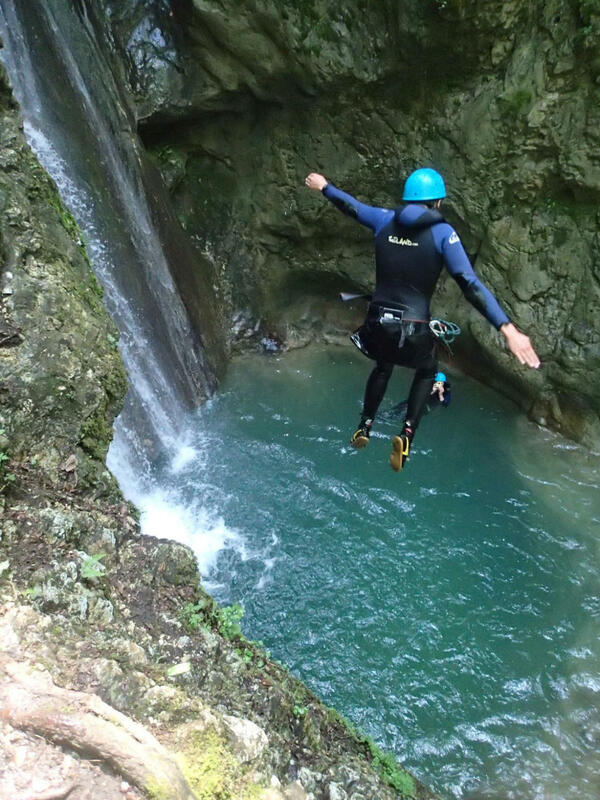 The Versoud canyon is one ot the best of Western Vercors in order to discover this activity. The Ecouges canyon nearby gives the opportunity to spend a complete day canyoning (Versoud + Ecouges Express), or a more sustained half day trip. A small crossing to the intimate route, where one follows the route of the water. Very good from 5 years!